The ricky art of contouring just got way easier with Sculpt and Highlight Face Duo. If you don’t have time (or bag space) to deal with brushes and compacts, this two-sided wonder wand will get the job done in double quick time. As you would expect, there’s a darker shade to define cheekbones and a brighter hue to highlight – and with five shade combinations to choose from, you can find one to naturally flatter your colouring. Plus the formula blends easily so a few simple sweeps are all you need for perfectly sculpted features. Contour on the go with this clever two-in-one wand to sculpt and define your features. The ultimate make up bag must-have, the formula glides on easily and blends like a dream. What’s more, there are different versions to suit a variety of skin tones. ‘Chestnut/Sand’ is the deepest tone while ‘Taupe/Ivory’ would suit paler types, with three medium shades in-between ranging from light brown ‘Cinnamon/Peach’, mid beige ‘Caramel/Vanilla’ and ‘Almond/Light’ – a light beige with yellow undertones. Dab the darker shade along the hollows of the cheeks and forehead as well as along the jawline, while the lighter shade can be used to highlight areas such as the cheekbones, brow bone and Cupid’s bow. Blend with fingers or a brush. Water/Aqua/Eau, Trimethylsiloxysilicate, Trimethylsiloxyphenyl Dimethicone, Isononyl Isononanoate, Caprylic/Capric Triglyceride, Silica, Sorbitan Olivate, Euphorbia Cerifera (Candelilla) Wax/Candelilla Cera/Cire de Candelilla, Aloe Barbadensis Leaf Extract, Cocos Nucifera (Coconut) Oil, Tocopheryl Acetate, Glycerin, Caprylyl Glycol, Xanthan Gum, Triethoxycaprylylsilane, Alumina, Phenoxyethanol. MAY CONTAIN / PEUT CONTENIR (+/-): Titanium Dioxide (CI 77891), Iron Oxides (CI 77491, CI 77492, CI 77499). I was looking for a cream contour rather than a powder as I just found it wasn't working for me and just wanted a cheaper cream one to begin with. I think this product is good for the price. 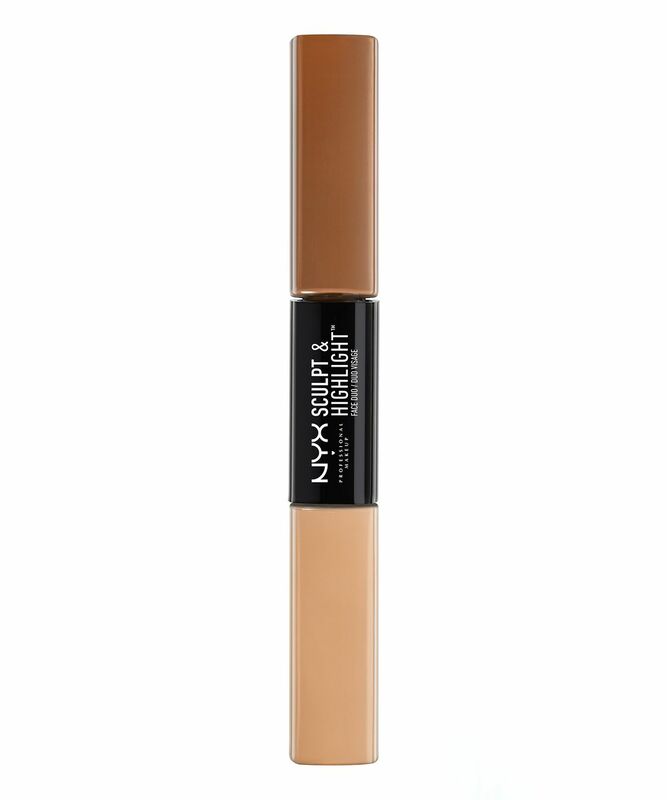 I am of a light/medium skin tone and bought the lightest shade Taupe/Ivory to ensure the concealer was light enough. The concealer shade is just light enough for me but the contour is a really good match. I find it blends better with a brush than a beauty blender and personally on me gives a really nice finish and contour/cheekbones that aren't too in your face. For the price you pay for it I think it is really good value. I bought this because I hoped it would be a good alternative to my powder contour. When I used the contour side it blended nicely with my skin, but it completely stained my beauty blender. Even after a wash and a soak, I could still see a poo-like stain on my blender. I tried the highlighter over my foundation, and it completely took the foundation off when I tried to blend. I was left with a huge streak on my skin. Was forced to take everything off and re-do. I bought the almond/light one, the contour shade is really flattering but the highlight is the same as my skin tone and my current concealer (I use it under my eyes in a pinch). Blends nicely but don't expect a very chiselled contour. That's what powders are for. I can’t remember which one I have but it’s not very nice in my experience. It’s hard to blend, doesn’t sit right, is hard to apply, shades are weird and never do anything for me. I’ve used it twice and both times I’ve had to take off and re-do all my makeup because it was that bad...disappointed. The concealer is very creamy and good (if a little yellow for my skin tone) however the contour is way too warm toned, yet it is the lightest shade they had in the shop and it doesn’t blend at all- it smudges my foundation and is a bit of a nightmare to use. Considering you get both a concealer shade & a contour shade for £9.50, it's fab value for money! Blends easily, very easy to build and looks natural on the skin whilst still giving good coverage.